Pet Friendly Rent London | London Relocation Ltd. Looking For Pet Friendly Rentals In London? It's Purrfectly Easy! We have the largest selection of pet friendly flats and homes in London. 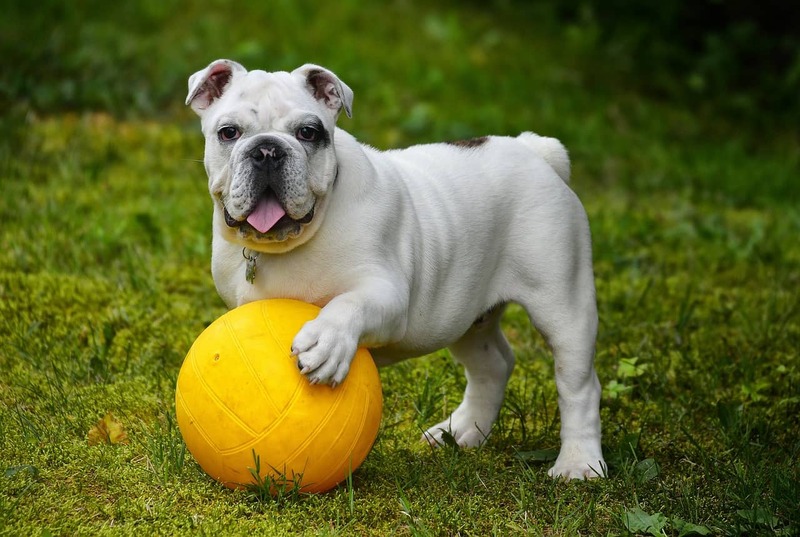 Finding pet-friendly apartments in London England can be an exasperating experience. It’s very different than what you might be used to. Fortunately, we can help! You may run into more resistance from landlords than you’re used to in your home country. That’s because the London housing market is so tight, landlords will give preference to non-pet owners. Pet friendly London flats and homes are few and far between. We know! It’s not cool — but it’s a reality. Even if a landlord is okay with you having a pet, if the building says no, it stays no. In general, the larger the number and size of your pet(s), the more difficult it will be to find a London apartment to rent. A single cat or small dog is given the most leeway for pet friendly rentals. Many parks have large off-leash areas (leashes are called “leads” in British English), but be mindful of other animals that may dwell there like horses and deer. Best London parks for dog-walking: Kensington Gardens, Hyde Park, Regents Park, Battersea Park, Richmond Park, Hampstead Heath, and Primrose Hill. London is overall very pet-friendly, with many pubs, restaurants, and shops welcoming dogs inside their establishments. Dogs can ride public transport, too! Transporting your pet to the UK: will they need an overnight stay at an airport? Where can you get an EU-approved subcutaneous chip? Do you need a UK Pet Passport? Where do I get one in my country? Do I need to quarantine my furchild? Do I have an airline-approved crate? You have a choice of public and private care. Chains include Hamilton Veterinary Clinics and Village Vet. Pets Naturally is a highly recommended Notting Hill clinic. Pet insurance is available through many companies like Tesco. PDSA is the UK’s leading veterinary charity. The Royal Veterinary College (RVC) provides clinical services and referrals. University of Cambridge has an animal hospital with cutting edge treatment of serious pet illnesses. Like healthcare for humans, your experience is largely dependent on whether or not you find a good doctor. So do the research, ask around, and take referrals seriously. Garden flats make for pet-friendly homes, often including backyard space. Having other pets to socialize within the neighborhood or the local park is a plus. Frequent walks will help your pet get used to the different flora. Research in advance which tube stations have elevators/escalators vs. stairs for your pup. Pet food is found in most grocery chains, and stores like Whole Foods and Pet Pavilion that offer specialty brands like Lily’s Kitchen and Darlings Real Foods. 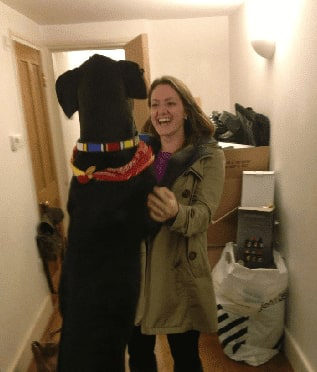 We found Buffy a home in Balham – Her humans adore the space as well! You thought we were kidding about the Great Dane! LR’s Devon Lampard gets a massive thank you from Maverick! 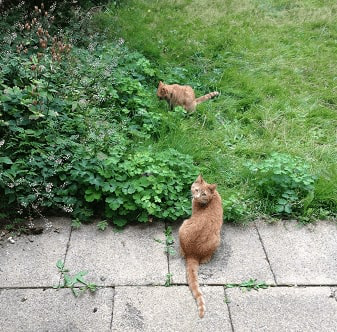 Juju and Shaggy now live in Woodside Park and have discovered the catnip in the garden!